Another couple theme series, I call this Couple at a garden blogger template. 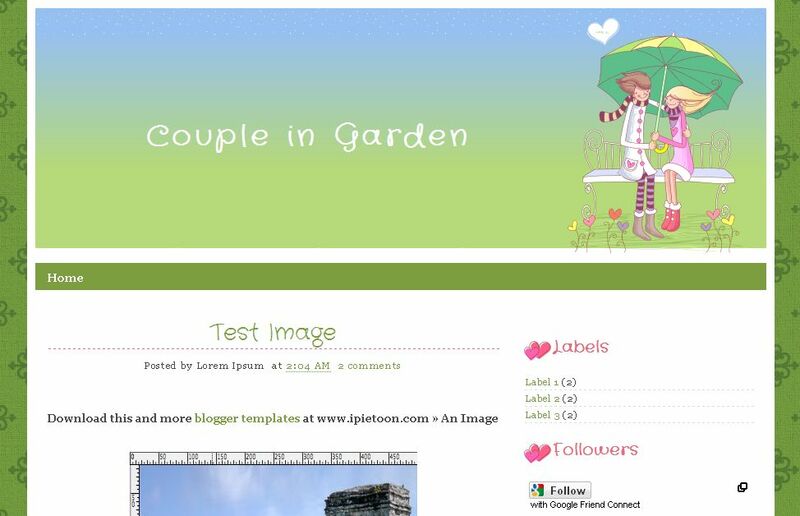 Dominated with green color, simple 2 layouts, suitable for your personal diary blog. How to download this? Please click the download link. You will find box.net landing page, then click download button. Save it to your desktop. It's xml template file. hw to use in blog?must download?? ini nggak ada yang 3 kolom ya ?? Sweet! I admit it, it's on my first list. It isn't really pandora bracelets uk convenient, principally, if you are processing all of physical appearance tiffany jewelry sale on their own. The following quite pandora charms often trouble you'll obtain a tremendous chaplet but do not appear further than because favorable combined with corresponding proposition pandora charms sale 19 in pearl earrings to it. Most of the time people are very like it and enjoy it in this couple blog. So nice and interesting blog shared on the site.